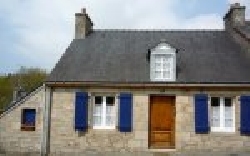 HOLIDAY HOMES TO RENT IN MORBIHAN, BRITTANY. 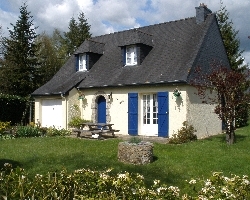 Welcome to our selection of holiday homes to rent in Morbihan, France. The departement of Morbihan, located on the popular southern coast of Brittany, is all about one thing; the sea. The area's coastline is dotted with popular beaches, traditional fishing ports, spectacular scenery and walking trails and even one of the most amazing collections of prehistoric standing stones in the world at Carnac. The region's main town of Vannes is a pleasant place to take a day trip away from the beach, with its medieval old town, ramparts and intriguing communal washing places dating from the 19th century. There are several beaches on this stretch of the Brittany coastline. From the modern town of Lorient round to the Quiberon peninsula, all the beaches are sandy and easily accessible. Some are more remote than others, meaning that if you want to escape the crowds, you will have to be prepared to manage without showers, toilets and the other usual amenities that the resorts have to offer. Lorient may not be the prettiest of towns, but head out of the centre towards the river and you will find there are several beaches that are very popular with the locals. The town also hosts a festival celebrating the music of the Celtic countries, including Brittany itself, every summer, when artistes from all over the world can be expected to perform. The beaches of the Quiberon peninsula are sandy, though you are more likely to find rocky coves and steep cliffs on this part of the coastline. There are several walking routes on the peninsula too, some quite demanding, if you want to work up an appetite for the fantastic seafood that is served in this part of France. Many of the best restaurants are in the town of Quiberon itself, which also has its own beaches and plenty of tourist amenities such as bars, entertainment and water sports. A lot of the best seafood served in this part of Brittany comes from the Gulf of Morbihan, an inland sea which is famous for its oysters. The best view over the Gulf can be seen from the Bilgroix headland, a short climb from one of the biggest beaches. You can visit some of the 40 islands in the Gulf by boat, including the two largest, Ile aux Moines and Arz Island. While the islands in the Gulf of Morbihan are an interesting diversion, the two islands off the coast of Brittany in the Atlantic Ocean have much more to offer visitors who make the journey across. Ferries run from Lorient to both the Ile de Groix and Belle-Ile-en-Mer. Both have tiny fishing ports, remote beaches and beautiful walking routes. In fact, the Ile de Groix is so small that you can easily walk the entire route around the island's coast in less than a day. Looking for self catering holiday accommodation in Morbihan? Then below is a selection of gites in Morbihan and villas in Morbihan that can be rented direct from their owners. You can either click on each listing for further details or you can use our search engine on the left if you are looking for something in particular.